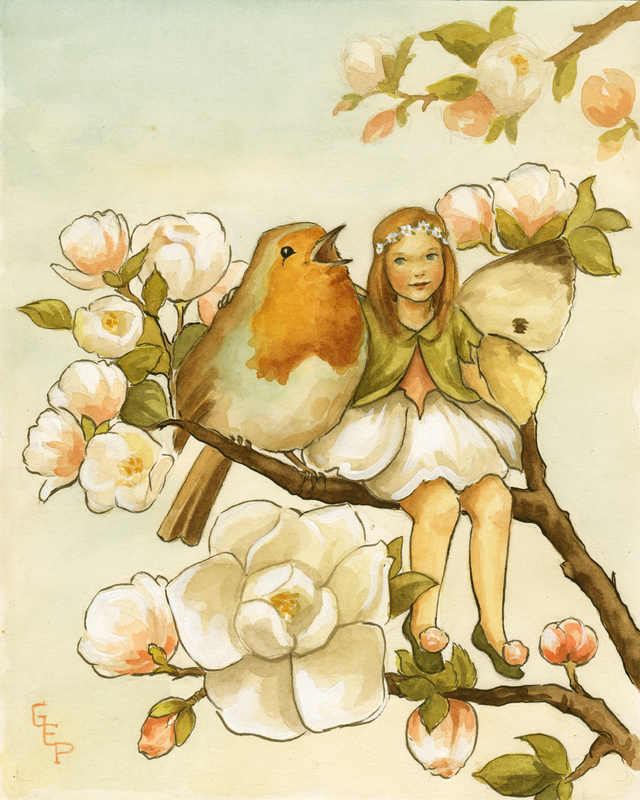 A fairy and a robin make for the best of friends. These two are singing the sweet first notes of spring. February 10th was when I spotted the first robin in my backyard. And now, we're having a taste of spring here in Michigan this week, and I must say that I a little bird told me it was coming.